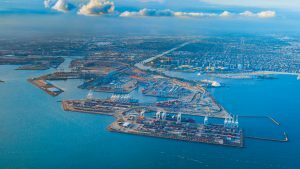 A pilot project utilizing advanced analytics software from GE Transportation is under way at the Port of Long Beach, Calif., the busiest port complex in North America. 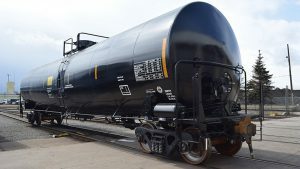 Designed to improve container movements at three of the port’s six container terminals—Long Beach Container Terminal, Total Terminals International and International Transportation Service—the two-month project incorporates GE’s Port Optimizer™ software to access data to move containers more efficiently. 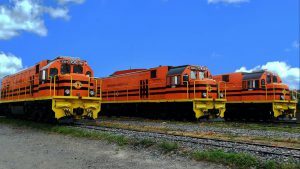 GE Transportation will supply Chilean private transport provider FCAB (Ferrocarril de Antofagasta) with five C23EMP diesel-electric locomotives in 2019. 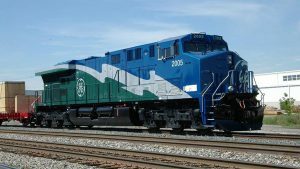 The contract, which includes a parts, service and warranty agreement, is GE’s first contract with FCAB. 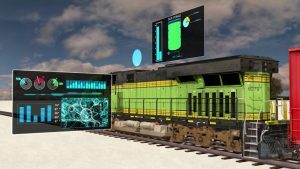 GE Transportation and Ukrainian Railways on July 9 marked the first GE Evolution Series TE33A locomotive to be built as part of a framework agreement signed in early 2018. 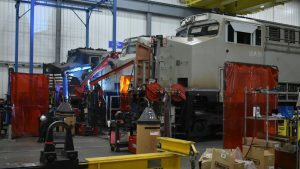 It is the first of 30 locomotives that are being built this year in support of the railroad’s effort to upgrade its fleet. 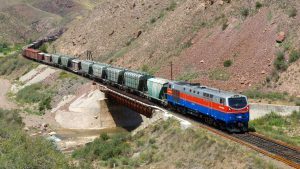 “Items of exploration” under the framework agreement include additional locomotives over 10 years, modernization of locomotives in the railway’s legacy fleet, as well as long-term maintenance services. 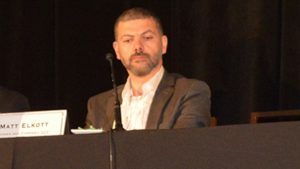 Analyst Cowen and Co. this week hosted its quarterly rail equipment conference call with expert panelists across the industry spectrum. 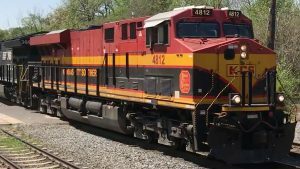 Kansas City Southern is powering up ahead of expected growth in North American rail freight. 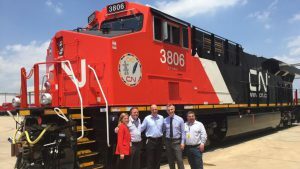 GE Transportation has completed the first of 200 Evolution series diesel-electric locomotives, which it is building at its plant in Fort Worth, Texas, for CN Railway.